4.7 billion people – 63% of world’s population – are covered by polices such as strong graphic warnings, smoke-free public places or other measures. 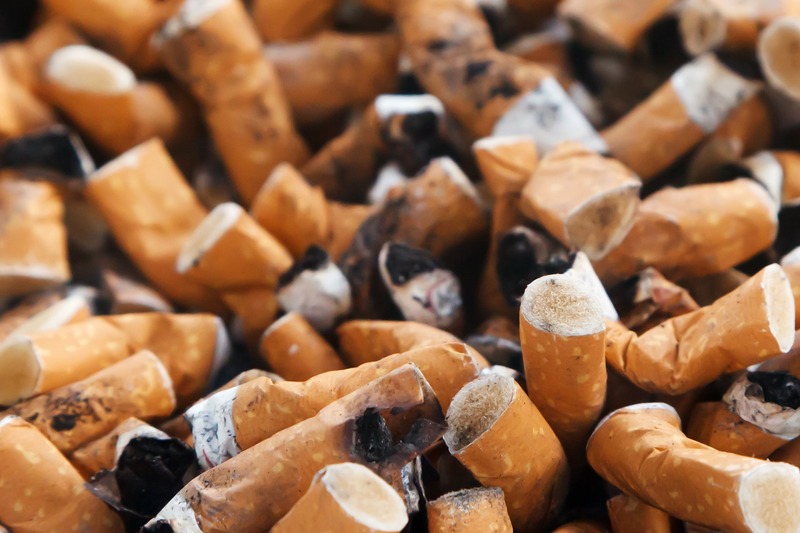 According to the latest World Health Organisation report, more countries have implemented tobacco control policies, ranging from graphic pack warnings and advertising bans to no smoking areas. Roughly 4.7 billion people, or 63% of the world’s population are covered by at least one comprehensive tobacco control measure. This number has quadrupled since 2007 when only 1 billion people, and 15% of the world’s population, were covered. 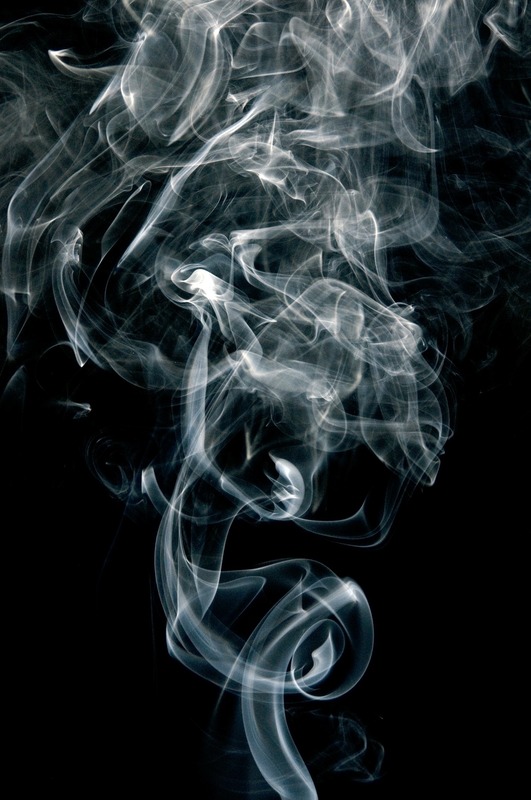 Tobacco use kills more than 7 million people every year. Effective and well considered tobacco control measures save millions of people from an early death. The tobacco industry however continues to kick up a fuss, hampering government efforts to fully implement these interventions. “Governments around the world must waste no time in incorporating all the provisions of the WHO Framework Convention on Tobacco Control into their national tobacco control programmes and policies,” says Dr Tedros Adhanom Ghebreyesus, WHO Director-General. 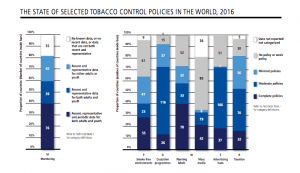 That 4.7 billion people are now protected by at least one “best practice” tobacco control measure owes much to the governments who have intensified action to implement key measures of the WHO Framework Convention on Tobacco Control (WHO FCTC). “One in ten deaths around the world is caused by tobacco, but we can change that through MPOWER tobacco control measures, which have proven highly effective,” says Michael R. Bloomberg, WHO Global Ambassador for Noncommunicable Diseases and founder of Bloomberg Philanthropies. This new WHO report, published today, was funded by Bloomberg Philanthropies. 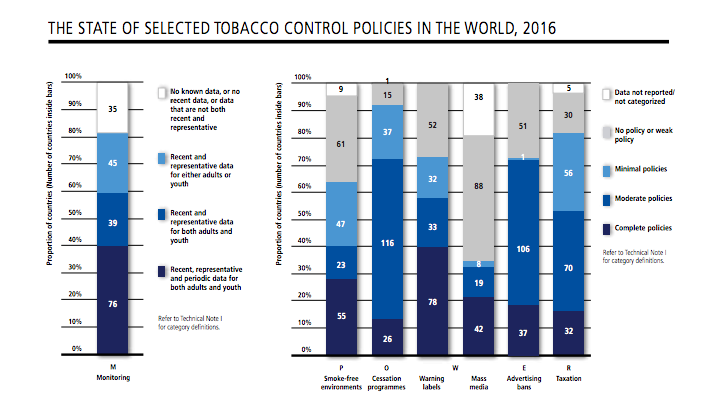 It is mainly concerned with monitoring tobacco use and prevention policies, and has found that one-third of countries have comprehensive systems to monitor tobacco use. Despite the encouraging rise in the number of countries monitoring tobacco use, governments still need to invest more in this area. Tobacco kills more than 7 million people each year. Even countries with limited resources can monitor tobacco use and implement prevention policies. The generation of data on youth and adults enables countries to promote health, save healthcare costs and generate revenues for government services. According to the report, the systematic monitoring of tobacco industry interference in government policymaking protects public health by revealing various nefarious tobacco industry tactics, which may include discrediting proven science, exaggerating the economic importance of the tobacco industry, discrediting proven science and using litigation to intimidate governments. Other tactics include “conducting public relations campaigns, buying scientific and other expertise to create controversy about established facts, funding political parties, hiring lobbyists to influence policy, using front groups and allied industries to oppose tobacco control measures, pre-empting strong legislation by pressing for the adoption of voluntary codes or weaker laws, and corrupting public officials,” to quote an illuminating 2000 study on tobacco industry tactics. Raise: Raising taxes to increase tobacco product prices is the most effective and cost-effective means to reduce tobacco use and encourage users to quit. But it is one of the least used tobacco control measures. The following three countries conducted WHO-backed initiatives to monitor tobacco use and then implemented measures to protect people from tobacco. The Philippines’ landmark Sin Tax Reform Law was passed in 2012 after its 2009 global adult tobacco survey showed high smoking rates among men (47.4%) and boys (12.9%). Such strong tobacco demand reduction measures have contributed to declining tobacco use, according to its 2015 adult tobacco survey results.